Balenciaga's 'Speed' sneakers have been a cult favorite since their debut, and for good reason - they're super easy to style and so comfortable. Updated for Spring '19 in black, this version has been made in Italy from breathable stretch-knit and set on a chunky (but lightweight) soles. They're printed with white logo lettering. 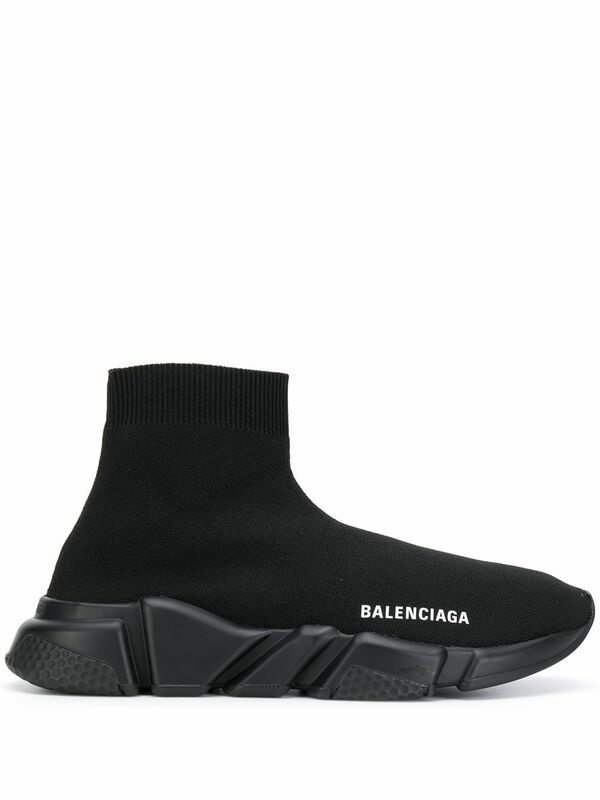 Schwarze 'Speed' Sneakers von Balenciaga. Balenciaga continues to create directional footwear season after season that subvert classical structure resulting in innovative footwear lasts. These black Speed Sneakers are reinvented for AW17 in a monotonal colourway. The all-black pair feature a round toe, a stretch fit, a white printed logo and a moulded rubber sole.